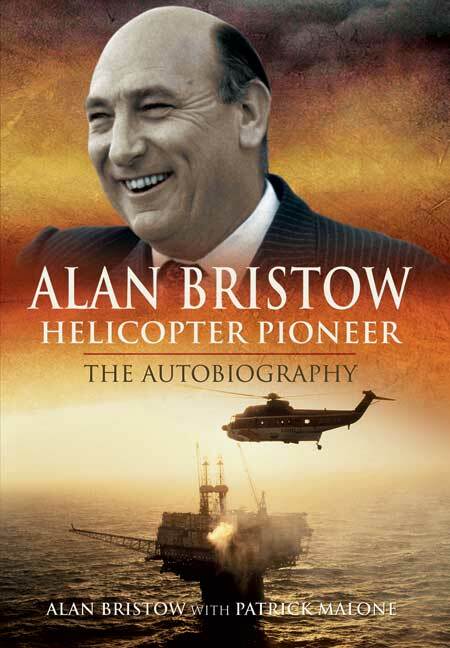 You'll be £25.00 closer to your next £10.00 credit when you purchase Alan Bristow: Helicopter Pioneer. What's this? Whole books have been based on lesser stories than the selection of Alan Bristow's hair-raising adventures apparently given away in the opening chapter of this fantastic autobiography. Was his eponymous helicopter company not so well-known, you could be forgiven for taking Bristow's story as the invention of an action thriller writer: it's a ripping yarn...wonderful knockabout stuff that is better than any fiction. One of the best flying books you'll ever read. Over the course of a year Bristow co-wrote this book with former Fleet Street journalist and newspaperman Pat Malone. Bristow was, to say the least, a polarizing man - a reputation he relished. At the end of this book a reader will probably be rather torn between liking and loathing the man. The story - and the tone - are engaging literally from the first line. From co-worker to business rival, love him or hate him, Bristow was respected and this book tells you why. Some time ago one of my sons called to ask me some questions about the British army. It transpired that a new employee in his firm was, like myself, a retired army officer and my son was concerned that this man had a senior position of trust and was claiming to have done far more than seemed possible during that former career in uniform. I wonder if the call would have been made at all had that new colleague been Alan Bristow whose own real-life CV might have been instantly dismissed as pure fiction. Alan Bristow died shortly after this biography was completed and, all things considered, we should be grateful for its completion. Survivor of two ships sinking under his feet in WW2, credited with shooting down two Stukas, one of the earliest British helicopter pilots, first man in the world to land a helicopter on a battleship, holder of the Croix de Guerre, veteran of many of the world's conflicts from WW2 onwards, flew air support for pirate whaling fleets as well as for oil workers in the Persian Gulf and much more besides. Everything this man accomplished and experienced led inexorably to his forming Bristow Helicopters, the largest helicopter company in the world outside the USA. Oh!, and he almost brought down Margaret Thatcher's government. Alan Bristow lived a full and complete life and this autobiography discloses the detail of his life and his service to others as well as to himself. Above all it reveals his underlying adventurous spirit which dominated everything he undertook. The book comprises 370 pages of often riveting text, with approx. 90 black and white photos which take the reader from those early days of service, to the various machines flown, right up to the latter days of boardroom, business and politics. It also has the most thorough Index!, which makes cross- reference so easy. As far as biographies go, this is one of those very rare "5" Star products. For those who like helicopters, much of what you know is owed to this man, for those who admire adventurers, this man is your subject, for those who simply enjoy biographies, this man lived a life which has now provides an excellent read. This is one of those books that should appeal to a very wide readership far beyond that normally attracted to an autobiography. It has all the ingredients of a best selling novel and some great photographs in black and white plate sections. Really a book not to miss. This is a larger than life story of a larger than life character. . . every word seems to come directly from the mouth of Alan Bristow. And what a mouth some would say because you are never left in any doubt as to Mr Bristow's opinion and I am pretty certain that this is how he was in real life. Love him or hate him you have to admire him. I hope this whets your appetite for a well written story of daring do that could certainly be made into several unbelievable films. I won't tell you the ending safe to say it was a bit like falling off a cliff. From a peak to a trough in a matter of moments. Definately worth adding this to your reading list in 2010. The words are accompanied by an excellent selection of photographs, many of which were new to this reviewer. All in all it is a really first class read and can be safely recommended to anyone with an interest in Britain's post-war aviation industry. Guy Warner - independent reviewer.